In business, the companies that hire the best employees are the companies that win. This concept sounds simple, executing on it is an entirely different story. Despite more efficient job ad targeting and increased usage of social recruiting, hiring “difference makers” is – and always has been – a tall sales order. It’s basic recruiting economics: the demand for intelligent, driven, passionate job applicants is consistently high while the supply is always too low. Regardless of the supply-side problems, companies can consistently source, engage and hire the most in-demand job seekers, no matter the firm size, industry, or hiring budget. Of course remember, interviewing is a give and take (for the other side of the coin, read my previous article, “The Golden Rules of Selling Yourself in the Interview”). While you want to be able to sell the job, you also want to ensure that you have enough information from the applicant to make an educated decision as to whether the individual will thrive once employed at your firm. How do top organizations go about maximizing candidate interest while conducting a formal, thorough analysis of the job seekers? Below are some key insights that should help you properly close the deal. 1. Smart People Don’t Buy Stupid Products: If you are not passionate about the job, don’t expect anyone else to be. In order to effectively sell a position to an intelligent, capable candidate, the opening must have some allure. 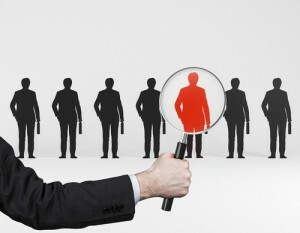 Before presenting the job to potential applicants, objectively look at the position. Ask yourself if you’d accept the job based on how you’re about to present it. If you wouldn’t, then reputable applicants are more than likely going to feel the same way. 2. Time is Money, Know What You Want: Before any sales representative can sell, they must choose their target market (i.e. their ideal customer). The same goes for selling a job. It’s recommended to list the desired traits, years of experience and skills the individual should have. This information should be written out and included in the job description you write. Remember, the more specific a background the candidate has, the more the candidate is going to cost. In most instances, you’re not going to be able to sell a $44,000 job to someone who is realistically worth $100,000. Make sure to factor in the likelihood or lack thereof that the individual would accept the position if given an offer. Our recruitment professionals stress that if there is little to no demand for the position amongst your desired applicants, you are selling the wrong product to the wrong crowd and alterations need to be made on one end or the other. 3. Know What You’re Selling: Since you are selling a job, it’s imperative to know everything possible about the position. In order to organize these thoughts, write out a thorough job description. The document should include a two or three paragraph description of your organization as well as highlight the duties of the job, your expectations and requirements. It’s important that you outline the compensation package and report it on the description. Include intangibles such as retirement benefits, health/vision/dental benefits, mileage reimbursement, vacation days and any other perks your firm may offer. Prior to meeting with you, each applicant should be sent the description so they are well familiarized with the position. Essentially, think of a job description as your marketing brochure for high quality candidates. Always make your best impression on an applicant. Take an interest in each candidate as an individual, make him or her feel welcome at your offices, showing appreciation for his or her time. Keep an open mind during the process. You can effectively sell your job.